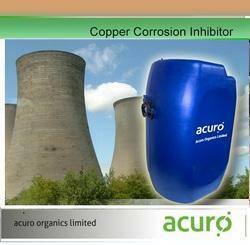 ACURO Copper Corrosion Inhibitor is a specially formulated chemical additive to protect system metals from corrosion. It is a multi-metal corrosion inhibitor and prevents corrosion in multi-ways. Nitrite Base Corrosion Inhibitor, Pack Size: 30 Kg. Oil Phase Corrosion inhibitors rely principally on the formation of barrier coatings preventing water from metal surfaces. Mostly ready to use in nature typically used direct from their container without any need for thinning or preparation for use. The coatings can be applied by brush, dip, and spray methods. Penetrating and water displacing , all around corrosion inhibiting compound. Corrosion Inhibitors are designed for prevention of metal loss in pipelines, headers, critical heat transfer equipment and cooling equipment. Specifications and uses:Can Download MSDS and TDS online at Respective Product Page Delivery On Time anywhere in INDIA . These are soft film, solvent deposited, corrosion preventives. These fluids can be applied to the product; leaving a protective film. All these fluids have excellent spreading and they can be applied either by dipping or by spraying. Paramount Polytreat Chemicals Pvt. Ltd.
Filtron Envirotech (India) manufactures the Complete range of Corrosion Inhibitors.